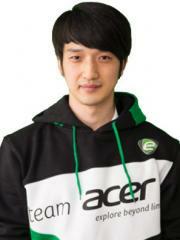 Moon "MMA" Sung Won is a Korean Terran player. He was introduced to the original Starcraft when he was in elementary school. At first he wanted to be a soldier, but due to a knee injury he had to be discharged from the army. MMA played as a Terran on SK Telecom T1 from 2008 under the id "Dream.t)1988", although he did not play very many games. Currently, MMA is ranked #220 in highest overall earnings, and #43 in highest earnings for players from Korea, Republic of. Out of the 111 tournaments where MMA received a cash prize, the largest was $50,000.00 from WCS 2014 Global Finals on November 8, 2014. His 2nd place finish makes up 12.28% of his total prize money won. MMA overtook the $100,000 milestone on December 7, 2011, winning $2,655.92 and placing 5th-8th at GSL November 2011 (Code S). Prize money from 16 tournaments got him to that point.